The Russians aren't coming. But you can go to them. And should. With international tensions continually rising and the Russian state making some openly aggressive forays into ‘hybrid warfare’, it’s an interesting moment to be presented with this massive documentation of Russian experimental and electronic composition. At this time it’d be all too easy to slip back into simplistic Russophobia (a much-loved Western vice) or sympathetic condescension at what these exotic, perverse people manage to produce, despite their geographical and conceptual distance from Western norms. 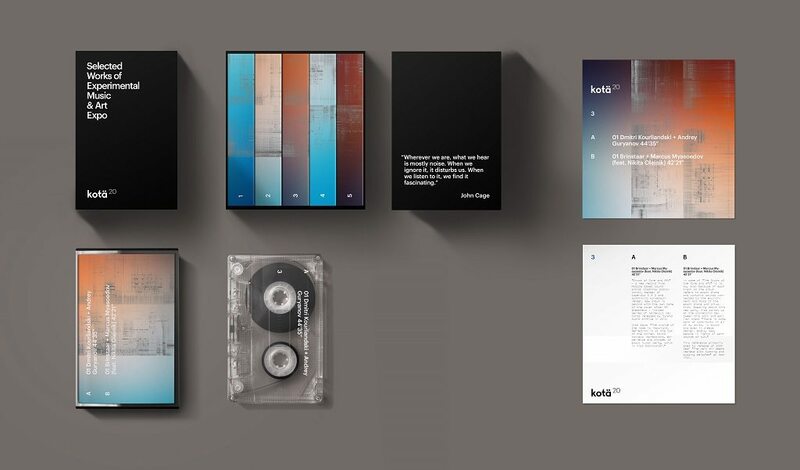 Despite what some may imagine, Russian label Kotä Records claim that Russia is “experiencing a boom in experimental practices” and the strength of the material presented in this massive set strongly supports this assertion. This is a documentation of live performances by a selection of Russian artists and guests brought together by the label to perform across Moscow over one week in 2016. To the casual listener, there are few obviously “Russian” signifiers in these performances. There are occasional Russian vocals and some performers use Russian/ex-Soviet equipment and field recordings, but little of this material is overtly Russian. Whether this aids or hinders the music’s transmission in Western contexts is an open question but its acceptance or otherwise in the West is a largely irrelevant question. While this is a stunning collection of music that should be heard as widely as possible, it also illustrates that the Russian scene is rich and vital enough not to need external validation. Speaking selfishly, I doubt that it would be possible for a label like Kotä to stage 7 nights of performances in a series of London venues, except perhaps as an act of self-destruction through economic suicide. Faced by such a vast and rich wealth of material (13 concert recordings in a five-tape box), perhaps the best way to approach it is either to surrender several hours to it and immerse yourself in these performances, or alternatively, to follow the logic of the original event and listen to one or two performances each night. However it’s approached, the quality and atmosphere of the recordings is undeniable, making the listener want to have been there. The set opens with sound artist Vlad Dobrovolski accompanied by the spoken word performer Michel Klimin. The slow and contemplative blend of crystalline electronic textures and speech is a graceful transition into the series. The collaboration between S A D (Dobrovolski again, plus Vasiliy Stepanov) & Bred Blondie (Gleb Glonti) presents a sort of mutant pluderphonics, conjuring odd and slyly humorous combinations into what Glonti calls “ready-made concrete music.” Russian experimental veteran Alexei Borisov & Benjamin Skepper offer a bracing combination of live electronics and cello that perhaps unsurprisingly sounds closer to Western modes of improv than most of the material in the collection. Dmitry Morozov’s ::vtol:: presented a multichannel work that must have made for an extremely dramatic live experience. Dynamic sound masses form, freeze, accelerate and decelerate. This is one of the most uncompromising and abrasive performances presented here and all the better for it. In contrast, Lovozero (Anastasia Tolchneva) & Kira Weinstein’s performance is (at least initially) more contemplative and atmospheric. Alternately angelic and desolate female vocals are backed by drones that slowly morph into more uneasy textures and a surprisingly affirmative finale. Dmitri Kourliandski & Andrey Guryanov offer an improvisation approach to what they term “open dance music”. In practice, this means a series of violently contrasting elements building a soundfield that’s constantly de- and re-constructed by Geiger-like clicks, unidentifiable noises and abrasive machinic clusters. The brooding performance by Wolffflow (Roman Golovko) features a mangled vocal sample seemingly taken from the patron saint of alienated sound art, William Burroughs. The uncanny result is one of the most memorable pieces in the collection – a paranoiac but seductive soundscape that seems to shift under the listener’s feet. Muscovite Alexander Senko has a degree in sound engineering and it’s audible (and even tangible) here. The electronic elements (seemingly including the Russian post-industrial staple of shortwave noise) are vivid and intriguing. The various episodes create the impression of an acoustic film full of bizarre but logical plot twists.